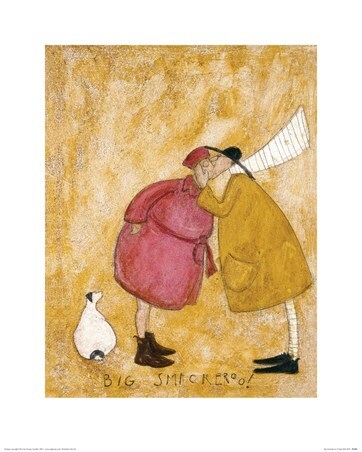 After a long and exhausting day, what better way to finish the journey home than with a nice tight squeeze! Mr Mustard is pictured embracing his beloved wife, Violet as she rests her weary head on his shoulder. And of course, they can never go anywhere without their furry companion - Doris. Their little Jack Russell never leaves their side and is feeling rather left out as she looks lovingly up to her owners. 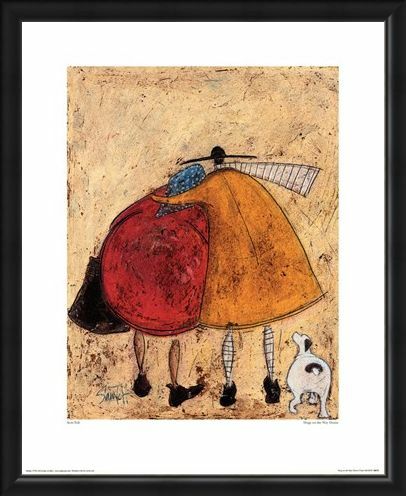 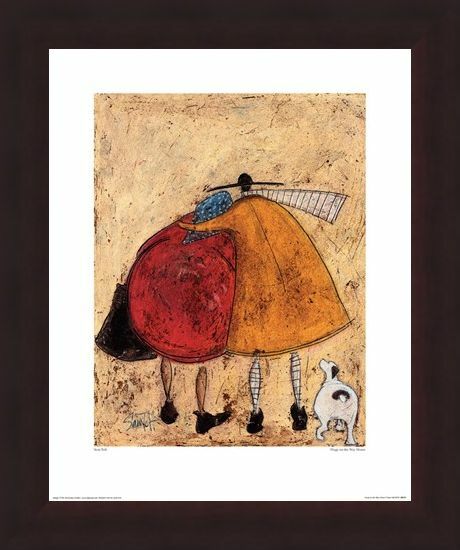 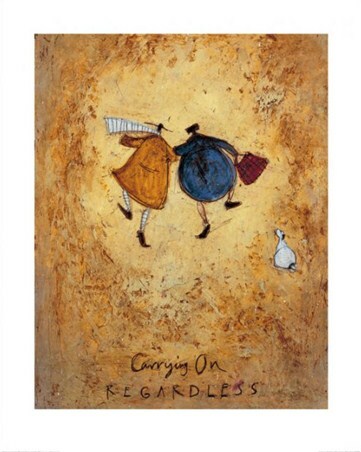 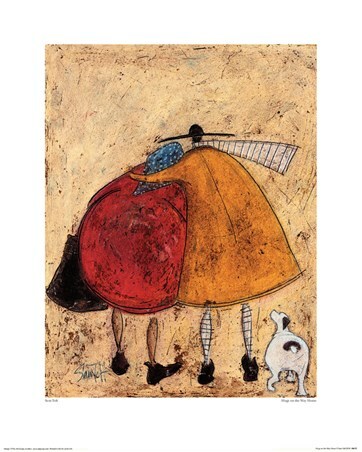 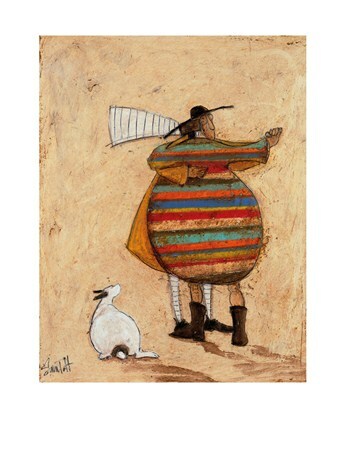 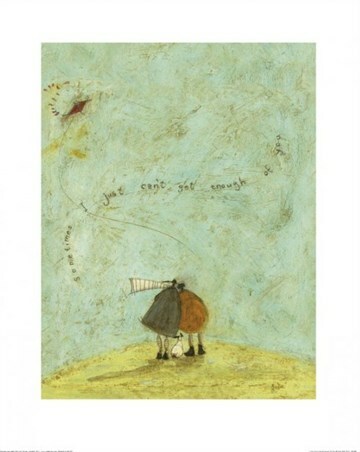 High quality, framed Hugs On The Way Home, Sam Toft print with a bespoke frame by our custom framing service.